1What makes a great business accountant? There are several qualities that make for a great accountant, whether that’s for your business or personal needs. It’s important they first take the time to understand your situation and particularly listen to your current needs and future requirements. They must be encouraging and act as your coach to be able to convey complex accounting issues in plain English so you know exactly what is being done and why. Being proactive and accessible when you need them the most is also important. 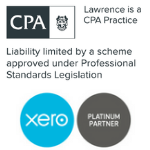 Be sure to check their qualifications as being CPA qualified will ensure you have an accountant that adheres to the highest possible standards. It’s also important your accountant keeps you on track and is able to help you meet important deadlines. 2I don’t hear from my accountant, is that normal? You should expect to hear from your accountant regularly throughout the year through various forms of communication. Our accountants will usually touch base with you quarterly and also with other forms of communication keeping you up to date of certain news and legislation that may be relevant to your situation. They should be available to speak with you to discuss items as they arise. 3What do I need to know before I hire a business accountant? It’s important you consider some of the following items when getting in touch with a business accountant: Ask for references - It’s worthwhile to ask a potential accountant for suitable references. This provides you with the confidence in knowing first hand from another client what their experience has been like. Fixed Fees – Agree on a fixed fee when engaging an accountant so you set clear expectations on what cost is involved upfront and avoids any hidden surprises. Trusted business partner – You need to feel comfortable in speaking openly with your accountant so they are better placed to advise you as required. Understands technology – Your accountant must be able to understand the vital role technology plays in modern business and how this can be of great benefit to you. Make sure they are in the know with the best technology products that could suit your business and be able to manage the implementation of this for you. 4What type of services can my accountant provide to help grow my business? 5Do you specialise in accounting for specific industry sectors? 6I want to start a business, what should I do? Starting a business can be a very daunting experience, and you want to get it right the first time round. Your first stop should always be your accountant who is able to manage the entire process for you. Some important items they will discuss are the ideal business structure, adequate and recommended insurance coverage required, plus preparation of a cash flow estimate which is vital in setting your business up for success. There are many other items to consider such as taxes to be registered for, obtaining funding for the business, buying or leasing a business premise, registration of business names and much more. To make sure you cover everything you need to, speak with your accountant who is able to guide you through this and manage the entire process for you. 7What business structure should I choose? There are mainly four different types of business structure. Before choosing which is right for you, consider the pros and cons for each by speaking with your Lawrence accountant. 8How much will an accountant cost? Accountant’s fees can vary depending on the level of services provided. At our complimentary consultation we establish your requirements and then provide an upfront fee proposal outlining the full costs and scope of work to be provided. This also outlines the timing of the services, providing you with peace of mind knowing what cost and timeframe to expect for completion of the agreed services. 9Are accountant’s fees tax deductible? Yes, accounting fees are fully tax deductible. There are several things to be aware of when making claims of these fees and it’s important to speak with our accountants so you can be sure to claim all available tax deductions you are eligible for. 10My business is in a lot of debt, can an accountant help me? Yes, we can immediately review the overall structure and situation you’re in. This includes reviewing your budget, cash flow and assisting with refinancing options and ATO arrangements to ease cash flow pain if required. Your accountant can then closely monitor your business on a monthly basis to get your cash flow back on track. Other options can be considered such as possible restructure or sale if needed. 11I’m an existing business and I want to change accountants, what do I need to do? Changing accountants is actually not as complicated as you imagine. It can be as simple as your new accountant sending an ethical letter to your previous accountant informing them of the change. Your new accountant can handle everything from there and walk you through the easy process. 12I'm the main breadwinner, should I top up my partners Super? This is an important consideration when planning your superannuation contributions. To ensure you plan appropriately for this, one of our financial planners can speak with you to for advice specific to your individual situation and circumstances. 13I'm a business owner and I’ve heard a Self Managed Super Fund (SMSF) will help me, is this true? A self managed superannuation fund is a structure that can be beneficial, however it is highly dependent upon your specific circumstances and is not the ideal solution for everyone. It is important you seek advice from one of our SMSF specialists who will be able to provide professional advice tailored to your individual needs and see if this type of facility could be beneficial to you. 14I'm managing my bookkeeping in house, but we’re overwhelmed, can you recommend a solution? We recommend you speak with one of our highly skilled bookkeepers who can visit you to assess your current situation, review your current system and provide solutions best suited to your needs. Solutions could range from providing training, implementation of new systems and procedures, ongoing support and new technology to help support your needs. Either way you can be sure you won’t be overwhelmed for long, so please get in touch with us today to see how we can assist. Our bookkeeping team is overseen by one of our qualified accountants who will ensure it is aligned to your accountant’s requirements making your financial end of year much easier. 15I want to close my business down, can you help? We can definitely assist with the closure of a business, however firstly you should get in touch with us to establish if closing your business is the best option for you. There are many items to consider and we can outline the steps, costs and timeline involved in the process to ensure you make the right decision for you and your business. At Lawrence we can assist you in any stage of the business cycle from purchase to start up, acquisition and sales. Talk to one of our experts to see how we can assist you to ensure you are receiving the best advice throughout the process.